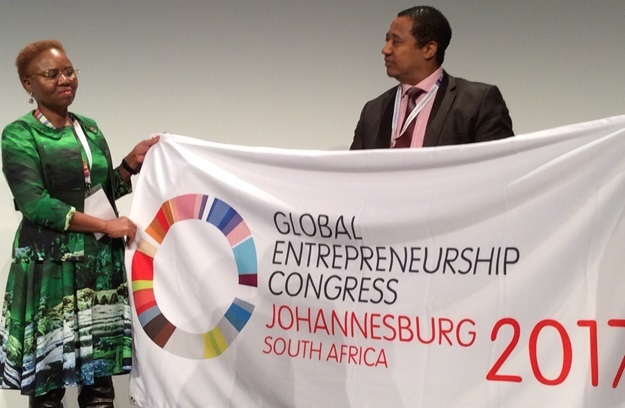 The 9th edition of the annually hosted Global Entrepreneurship Congress (GEC) will be held in Johannesburg, South Africa’s largest city, between Monday 13 March and Thursday 17 March 2017. Over 5000 entrepreneurs, researchers, policymakers and thought leaders are expected to attend and participate in the Congress. Attendance at the event is free but participants will have to cover their own travel and accommodation costs. The Congress will consist of a mix of large-scale plenary sessions for thousands of delegates as well as smaller, more intimate and in-depth parallel sessions facilitated by some of the world’s leading organisations which will help entrepreneurs start and scale new businesses. Some of the already confirmed speakers at the 2017 GEC include South Africa’s President Jacob Zuma, Microsoft’s Alif Aramawy, Discovery’s Adrian Gore, Colombia Business School’s Daniel Isenberg and Facebook’s Ebeli Okobi. Some of the important topics to be discussed and address at the GEC will include, but not be limited to, corporate innovation, enabling an entrepreneurial spirit, accessing data, digital disruption, how best to scale-up, the product-market fit, South African opportunities and challenges along with many more. Participants attending will be free to attend and partake in the sessions that are most relevant to their own experiences, interests and needs. Registration for the 2017 GEC can be done online by clicking here.